Granite Logistics is the premier agent for Trinity Logistics with offices in Sartell, MN and Minneapolis, MN. As a locally owned third-party logistics company, we have a sales and operations team of over 80 people comprising our brand. With offices located in Sartell, MN and Minneapolis, MN, Granite Logistics leverages nationwide and regional carriers to move shipments with a single streamlined management system. Our team is comprised of talented, passionate people who take great pride in their work on behalf of our customers' business goals and freight needs. Combined, we have 600+ years of experience in moving flatbed, over-dimensional, and project freight. At Granite Logistics, we truly believe “Culture Matters,” and work hard to create an environment where people can excel. Granite Logistics is pleased to partner with Trinity Logistics of Seaford, DE, one of the nation’s leading logistics solutions providers. As the #1 agent for Trinity, we couldn’t be happier with the support they provide us and our customer and carrier partners. We're able to keep our focus on getting our customer's freight moved, while the team at Trinity takes care of all the critical administrative functions also necessary to ensure a smooth shipment. Trinity has been in business since 1979 and is one of the nation’s Top 25 freight brokers. PRIDE … Since its inception, Granite Logistic’s core values have been Passion, Respect, Integrity, Discipline, and Excellence, or as we know them collectively, PRIDE. At Granite Logistics, we take great PRIDE in what we do, and our core values guide us in all our actions and interactions. That starts with us bringing a PASSION to the work we do every day; we treat everyone with RESPECT, as a reflection of our character; we operate with INTEGRITY in all matters; we approach our work with DISCIPLINE to ensure no detail is overlooked; and EXCELLENCE is what we strive for every day and with each load we handle. We believe when we live these values on a daily basis, we create an environment where our team can flourish and each member can reach his or her full potential. To become the nation’s premier flatbed/specialized transportation broker. Jeff started with GE Capital Commercial Vehicle Group financing over the road tractor trailers. There, he learned just enough to be dangerous in the logistics industry and co-founded Granite Logistics with Pat in 2011. His philosophy is try to learn something new each and every day. Oh, and Jeff is an avid CrossFitter. First rule of CrossFit is to tell everyone you do CrossFit! CrossFit. CrossFit! Foster a workplace that produces results, accountability, and enjoyment. 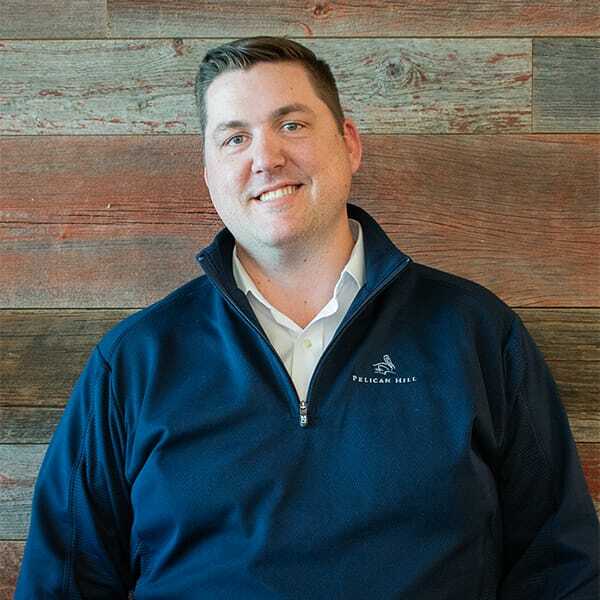 Upon graduation with a degree in business management from the University of Wisconsin Stout, Paul joined a large 3PL firm where he cut his teeth in the logistics industry. He worked in a number of different roles there until joining Granite Logistics in 2013 as the Sales Manager. Paul believes in a workplace filled with positive energy. 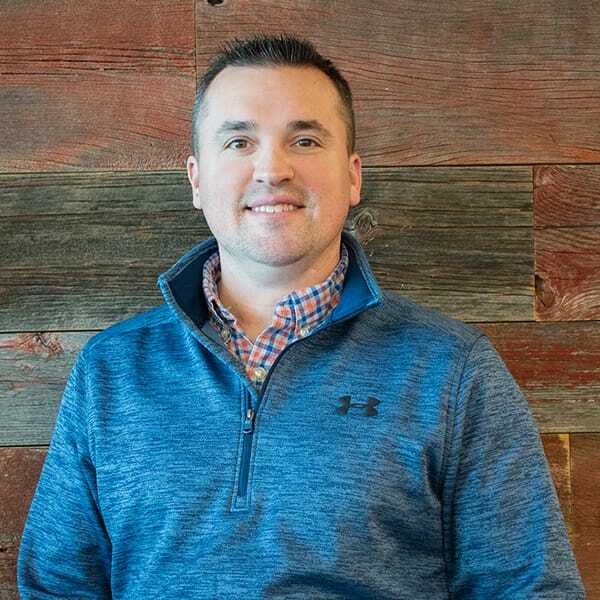 He wants people to hear team members talking about customer solutions and work initiatives as well as hearing laughter as people enjoy Granite Logistics’ culture and the people around them. Paul has two sons, Liam and Jack, and is married to his lovely wife, Angie. He enjoys putting way too many emotions for a grown man into every Vikings season. His strategy has not paid off. He should just stick to golf. 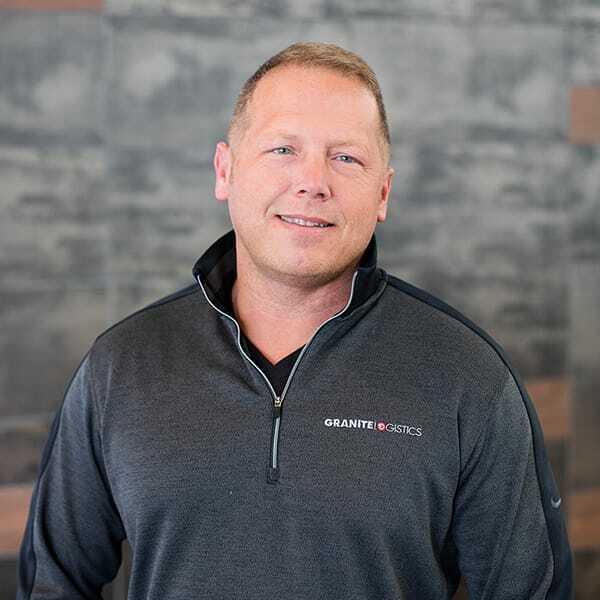 Jeff joined Granite Logistics in 2016. He spent over a decade at a large 3PL in multiple roles in transportation, produce sourcing, and supply chain/brand management. Jeff believes culture matters and focuses each day on creating a culture where employees thrive. Jeff once spent a semester in college living in Manhattan, interning at Madison Square Garden. One day, he was given the task to watch the music video for Jay-Z’s The Black Album in the New York Knicks’ executive conference room. His job? To record how many times MSG was referenced. It’s not really a claim to fame, but Jeff thinks otherwise and we support him. Jeff is Dad to two great boys, Dylan and Owen, and married to his wonderful wife, Emily. Hire the best talent possible and let them do what they do best; treat and reward them well; repeat. Pat co-founded Granite Logistics in 2011. Having spent virtually his entire career in the logistics industry, he started with one of the nation’s largest 3PL companies, and then worked in the brokerage division of a large asset-based carrier. In 1996, Pat started Payne Lynch & Associates, which operated for 10 years before being acquired by that same largest 3PL. 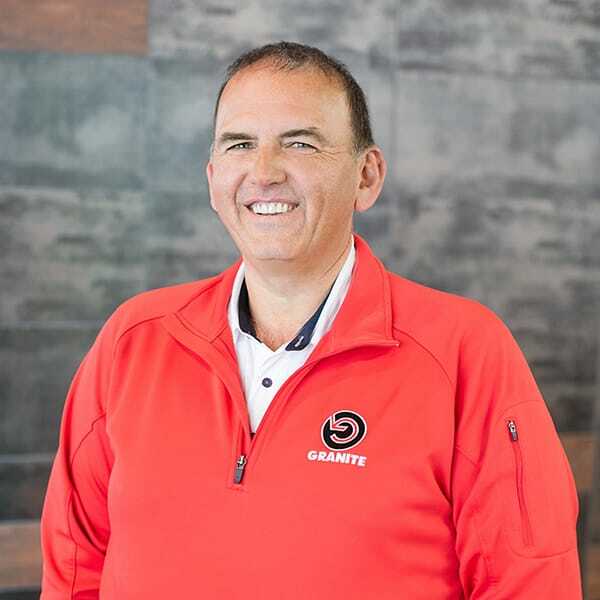 After that business was acquired in 2006, he played roughly 400 rounds of golf until his non-compete was up and got back to what he’s best at and Granite Logistics was born. Did we mention he’s an avid golfer? Pat has played approximately 32,294 holes of golf and sadly is still searching for that elusive hole in one. Culture is everything and she means EVERYTHING. 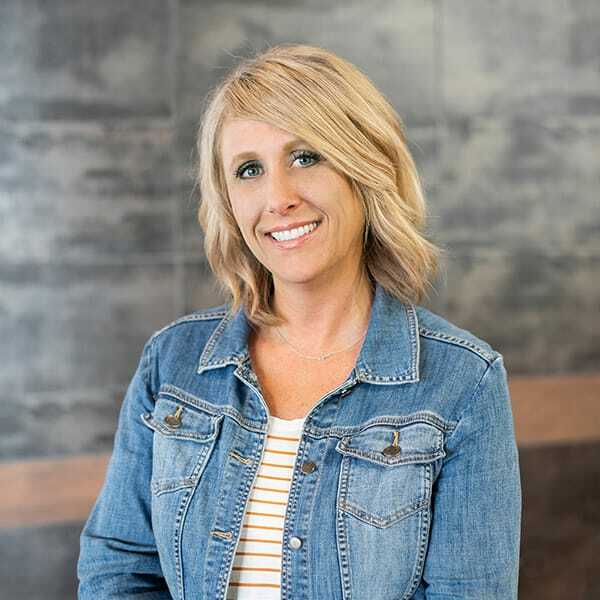 Kerry’s been at Granite Logistics since 2014 and has worked diligently over the years to obtain the title of CSO (Chief Spending Officer). Everyone in the office benefits greatly. Prior to Granite Logistics, Kerry worked for Pat’s first company beginning in 1997. She spent eight years with a large 3PL when he sold that company and eventually made her way back (home) again working for Pat and Jeff. Kerry believes bringing in the money we do should not be this much fun. And yet … it totally is! If you’re not 1st, you’re last. – Ricky Bobby And, Mark Mastroianna. 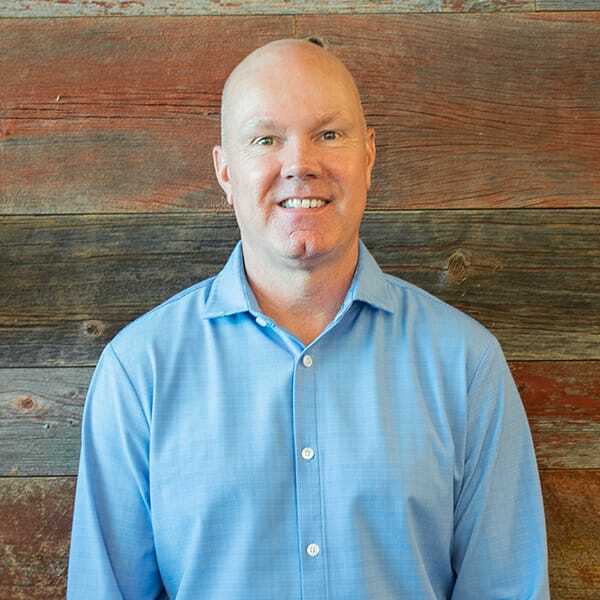 After beginning his career in Logistics in 2000, Mark has successfully served numerous roles within the brokerage Industry. In fact, he’s probably been used in more ways than a Swiss Army Knife! 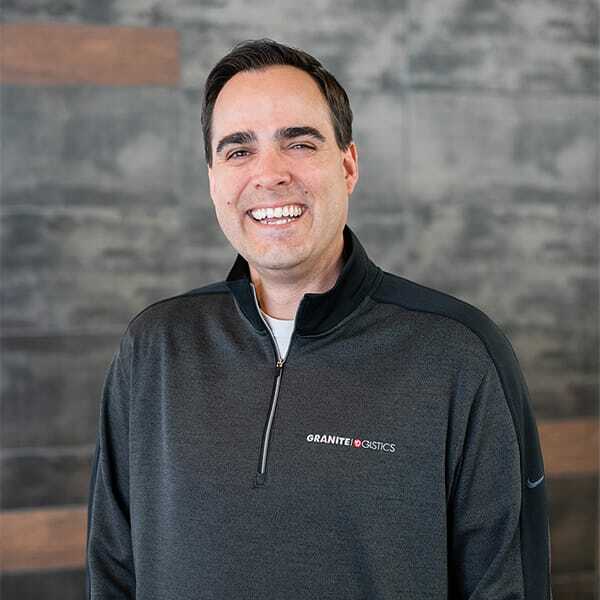 An integral part of Granite Logistics since 2012, Mark compares himself to a human piñata that gets batted back and forth between the Operations and Sales team. He helps create a great work culture and the best possible solutions for our customers through collaboration with teammates. Mark tries to live his life with “No Ragrets”. Yes, not even one letter. However, a few months ago he ordered two super burritos for lunch, and instantly regretted that decision. Tom’s experience in logistics began in 1998. He joined Granite Logistics in 2012. He’s great at golf; he once topped a ball so perfect that it went straight up in the air and he caught it. When he’s not working on his back swing, he’s dedicated to customer solutions and keeping his Operations team focused on goals and commitment to success. Ask him about that one Monday night football game he hailed a cab from Minneapolis straight back to Sartell; it never gets old. Granite Logistics' growth is aggressive and we’re looking for like-minded individuals to join our team. 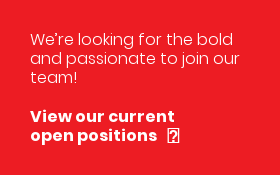 We currently have career openings in inside sales and logistics operations.